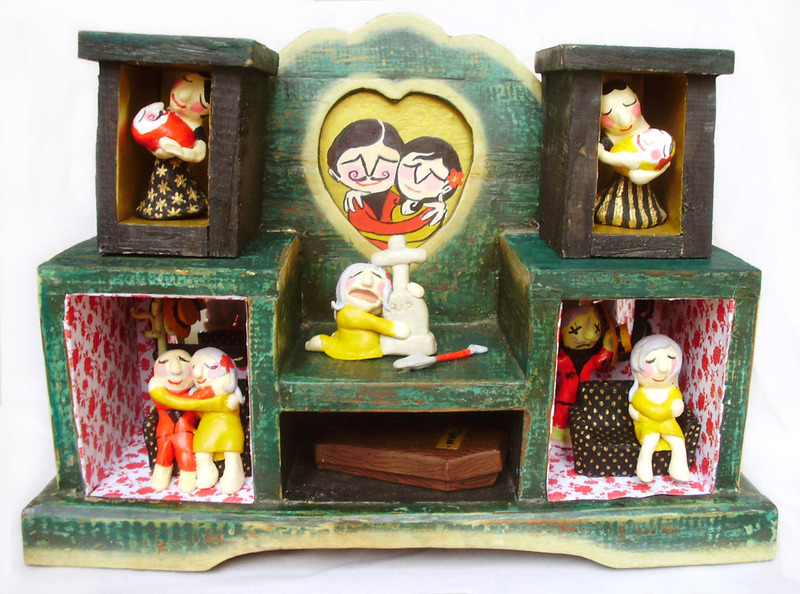 ‘Death Do Us Part’ is a comic sculpture built from a jewellery box. It tells the story of a lady who turns her dead husband into a hat stand. It is part of a series of pieces exploring the definition of comics as ‘Sequential Art’ .